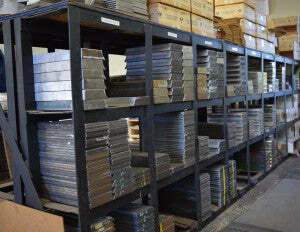 PQ plates are stocked in 3/8″ and 1-1/2″ thickness x 5″ wide x 12″ long. Additional thicknesses available (1/4″, 1/2″, 1″, 2″, etc.). 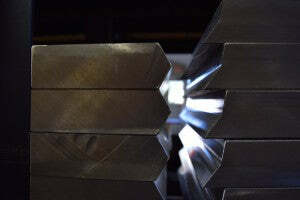 All plates have machined bevel along one 12″ side. Various bevel types available (single, double, compound, etc.). All machined bevels are coated with weldable rust preventative (when applicable). 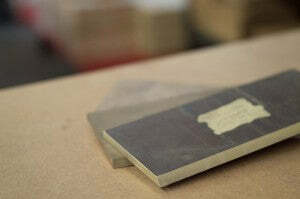 All plates are clearly marked with material type, grade and direction of roll. 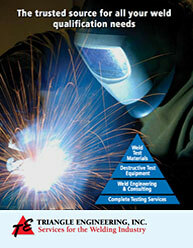 All Materials Provided With Clearly Marked Heat Numbers & Certified Mill Test Reports for complete traceability.